Students who are focused on long term goals maximize their college experience by engaging in “strategic indulgence,” according to new research being published in the journal Social Psychological and Personality Science. Washington, DC - Want to maximize the college experience? It’s not just about grades. High performing students, as measured by their grade point avarege (GPA), are also good at making decisions so that they can enjoy college game days without hurting their academic performance. These students make good strategic decisions in their time use, according to new research recently published in the journal Social Psychological and Personality Science. This study shows that “instead of avoiding temptations like a plague, students can make plans to enjoy them without compromising the overall long-term goal pursuit,” says Lile Jia, a social psychologist at the National University of Singapore. The experiences represented in the studies included watching the game on television, meeting up with friends, or actually attending a game. The high GPA students in the studies made choices to balance their study time around game days and social activities, while low GPA students did not demonstrate such strategic balancing. While making a “strategic indulgence” choice, the high GPA students reported more enjoyment when they engaged in game-related activities, as they planned other times to study and stayed focused on their long-term academic goals. Can people who are not great at making these “strategic indulgence” choices learn these habits? “It’s possible,” says Jia. He says more studies are needed to see how others can get better at engaging in non-academic activities such as college sports in a “smart” way and be better decision makers in long term goal pursuits. Study: Jia, Lile; Hirt, Edward; Koh, Alethea. How to have your cake and eat it too: Strategic indulgence in big-time collegiate sports among academically successful students. 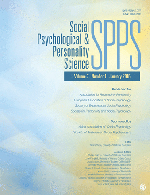 Social Psychological and Personality Science First Published July 17, 2018 https://doi.org/10.1177/1948550618789403. News Media may request a copy of the study by contacting press@spsp.org.